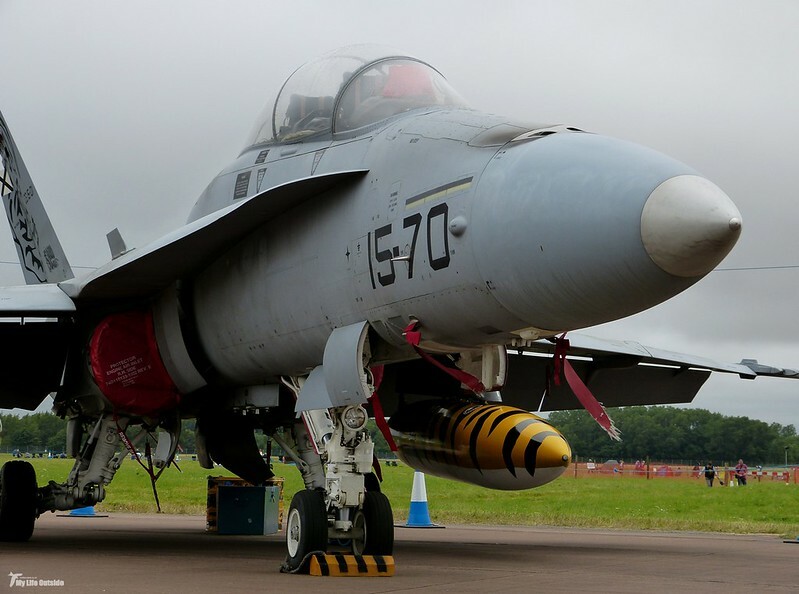 Anyone in the vicinity of RAF Fairford last Sunday can't have failed to notice the abnormally large volume of fighter aircraft overhead, and we were slap bang in the middle of it all. 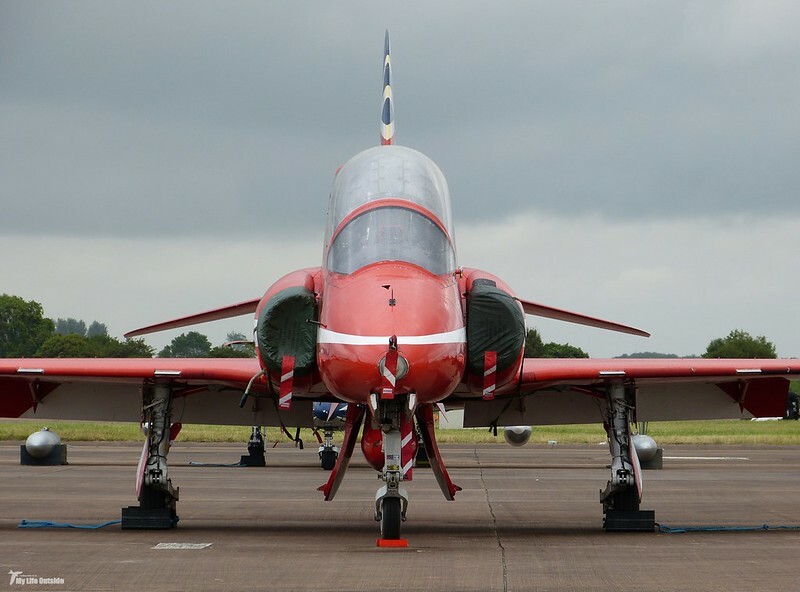 I am of course talking about the Royal International Air Tattoo, the worlds largest military airshow and the real reason for our trip across to the Cotswold's. I've attended several times previously and having witnessed such spectacles as Concord touching down a few meters away, the last ever flight (prior to its resurrection at least) of Vulcan XH558 and the unforgettable arrival of an American B-2 stealth bomber, expectations were high. As it turned out I wasn't to be disappointed and if you think these next couple of posts may be straying somewhat from my normally nature focussed content, rest assured that throughout every display we were accompanied by singing Skylarks and dashing Hares. Being one of the first through the gates meant that we were able to get up close and personal with those aircraft on static display. Aerial acrobatics are all well and good but I love being able to see the small details on these aircraft, in particular the unique logos and paint jobs which are applied either as a whole unit or to individual planes. Amongst the more modern jets it was nice to see a few turboprops about including what we judged to be the happiest aircraft in show. That small red smile really leant a sense of personality. 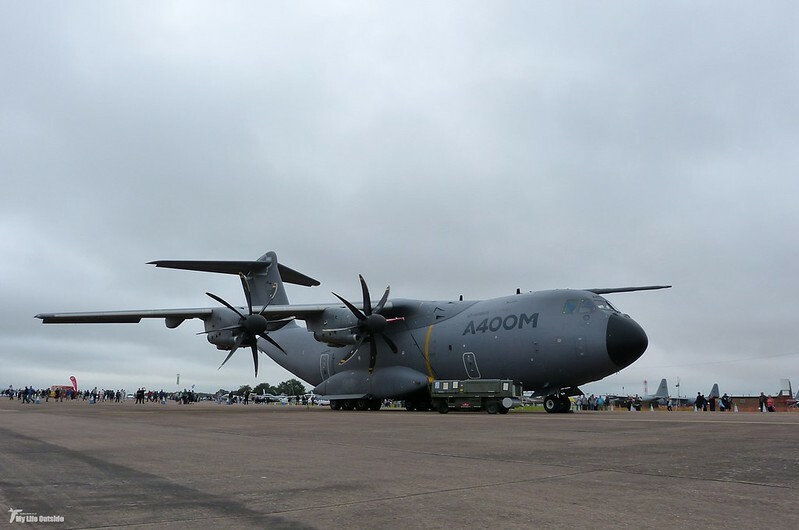 One of the highlights was Airbus's new A400M, the replacement for our venerable Hercules fleet. 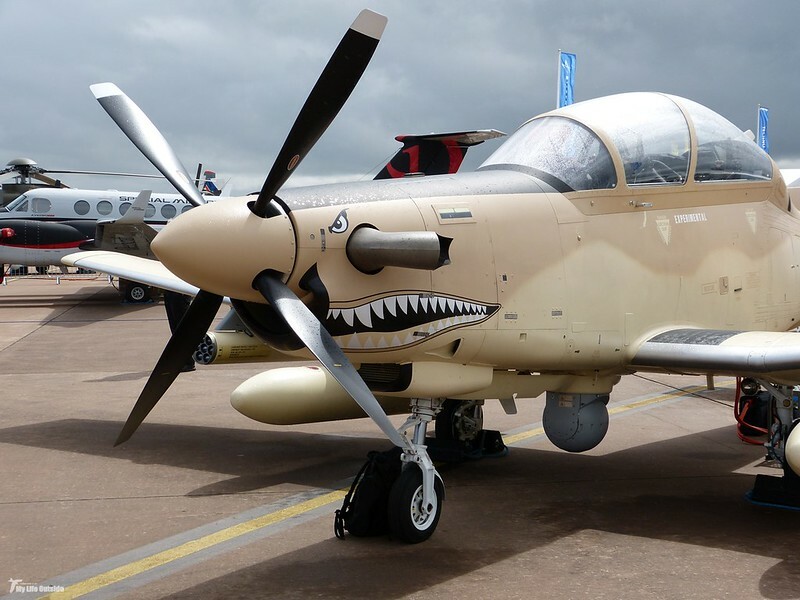 Although not much larger overall that huge tail makes for a much more imposing outline and I can't wait to see one of these flying over our house. Given how the Hercules make it shake I can only imagine what one of these beasts will do! 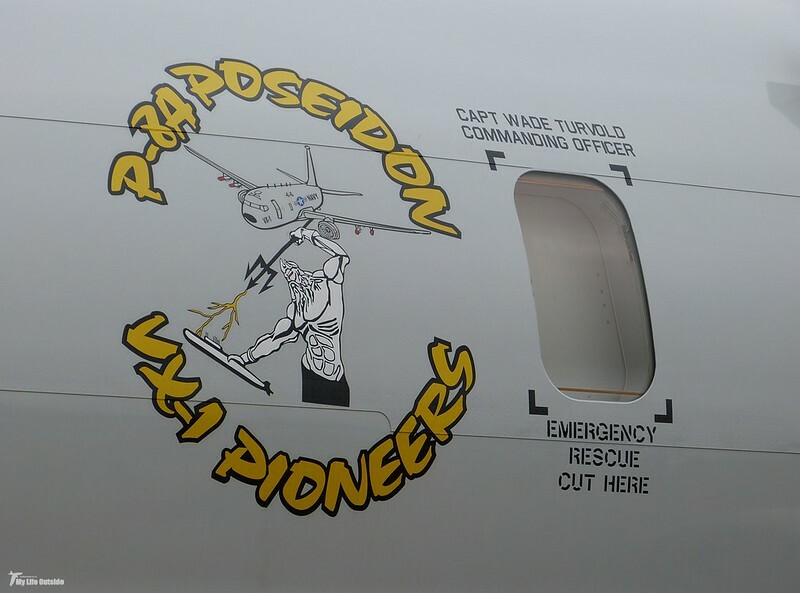 The main American offering was their new P8-Poseidon, an anti-submarine warfare plane whose operators clearly have a sense of humour. 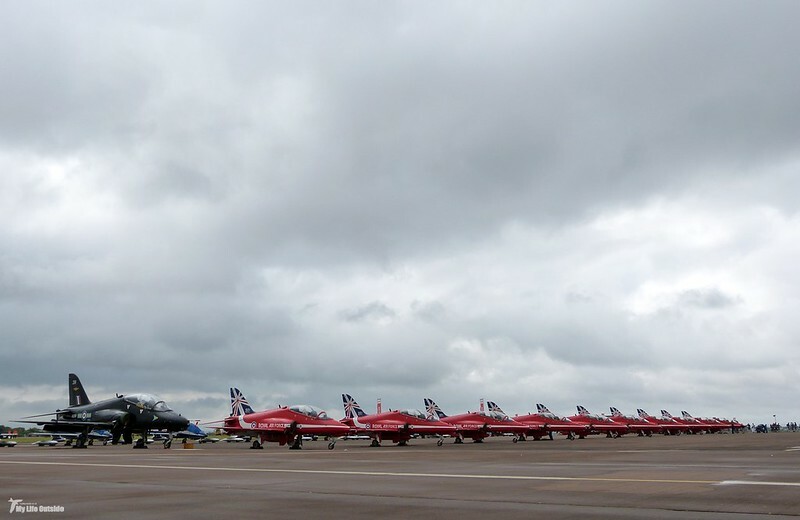 Of course the Red Arrows, undoubtedly everyone's favourite, were in attendance and as they are celebrating their fiftieth display season it was a nice touch to see them all lined up at the end of the runway. The shot above is probably my favourite from the whole weekend, a classic nose-on lesson in symmetry. Another livery which caught my eye was this shark based effort. Sadly I can't recall the country of origin or type of plane, so answers on a postcode please. 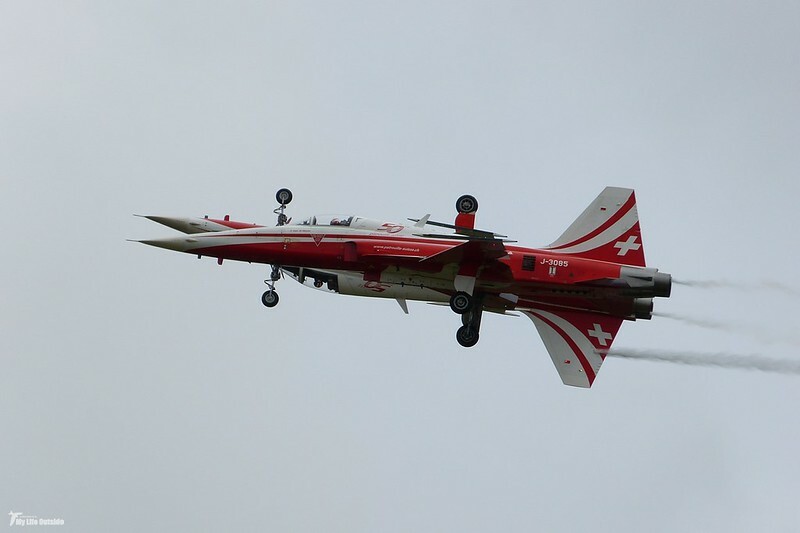 Amongst several acrobatic teams it was the Swiss (Patrouille Suisse) who put on perhaps the most poignant of displays After years wowing crowds across the world budget cuts mean that the team is likely to be disbanded in 2016. 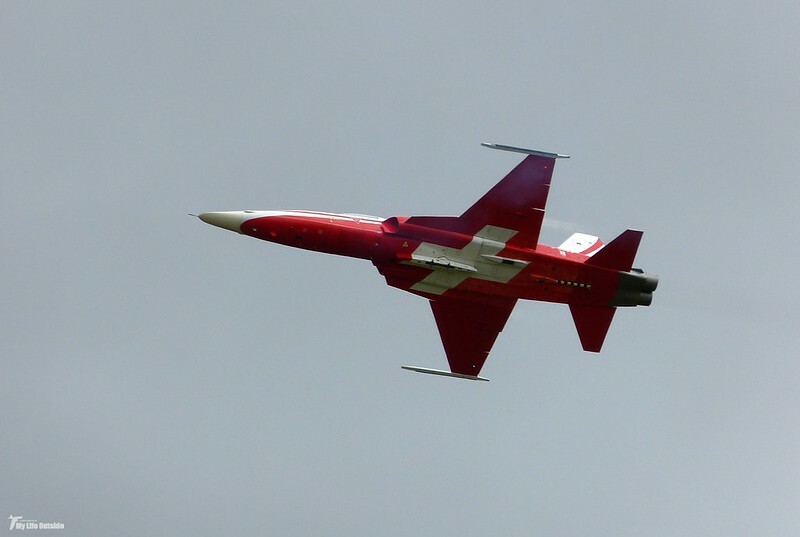 Having watched them perform both here and above the lakes of Interlaken, I for one will be sad to see them go. P.S. There really are two planes in the photo above. 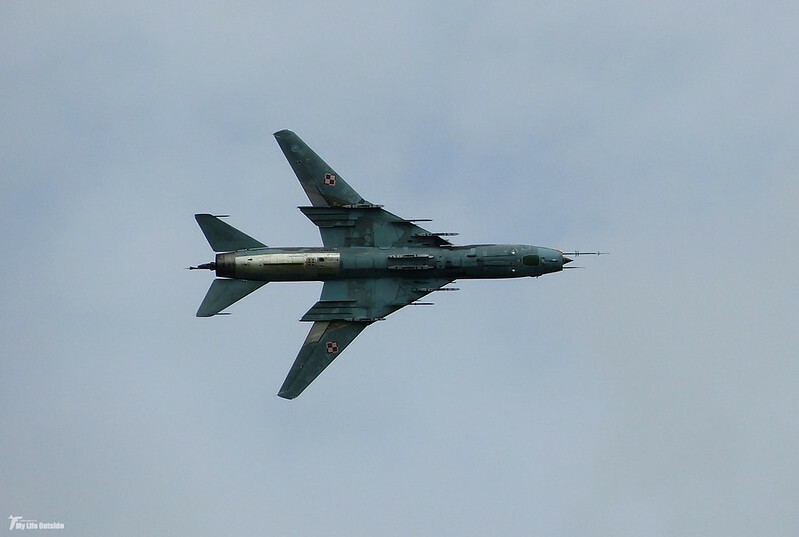 My favourite aircraft of the day, without a doubt, is this relic of Cold War history the Sukhoi SU-22. 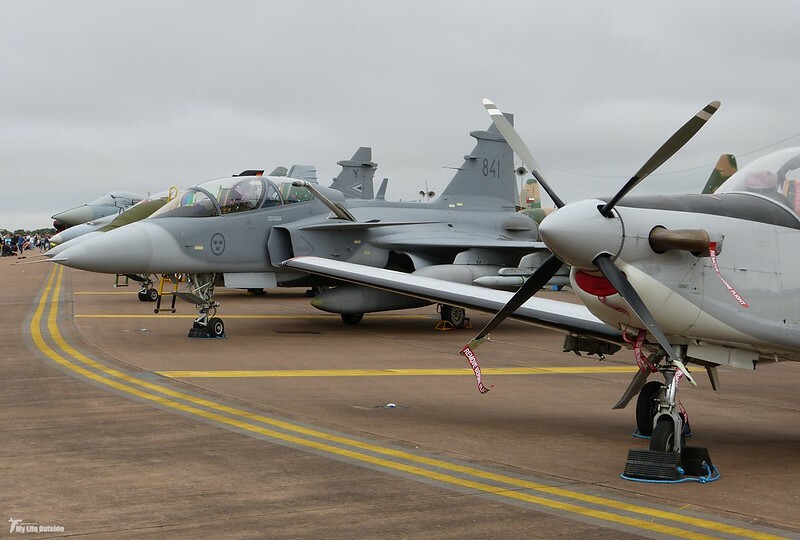 Dating back to 1966 Norway is now the sole operator of the type and for me it embodies what a true fighter jet should be. 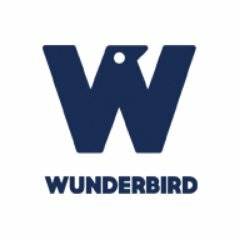 Variable-geometry, noise and speed. 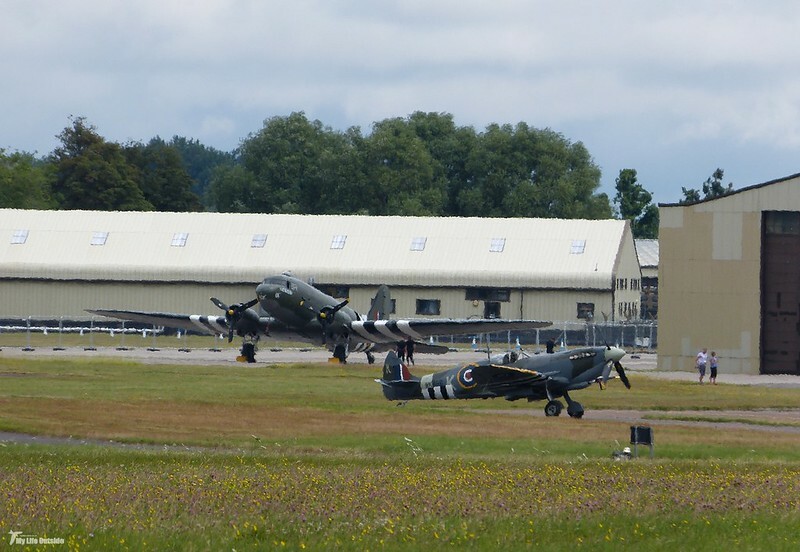 Of course we shouldn't forget the true purpose of these machines or the courage of those that fly them, something which the Battle of Britain Memorial Flight perfectly embodies. 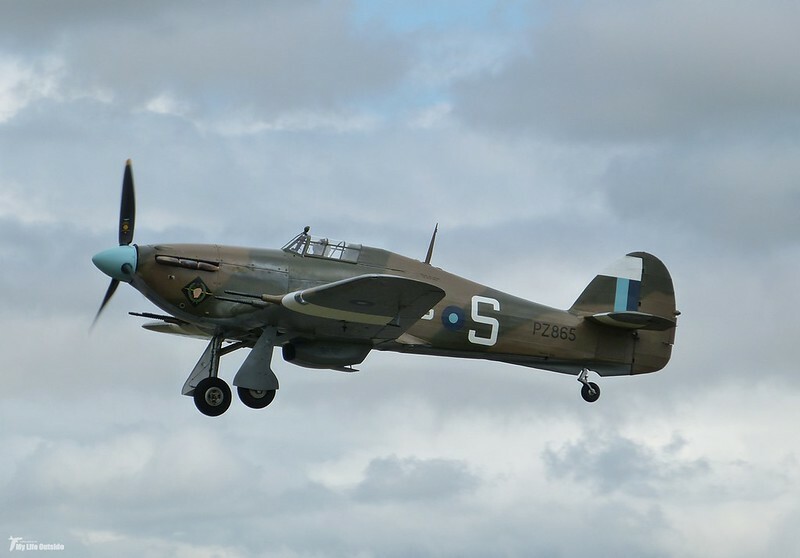 This year all it's aircraft carry black and white stripes in commemoration of the 70th anniversary of D-Day, including a specially prepared Eurofighter which proved to be an excellent addition. 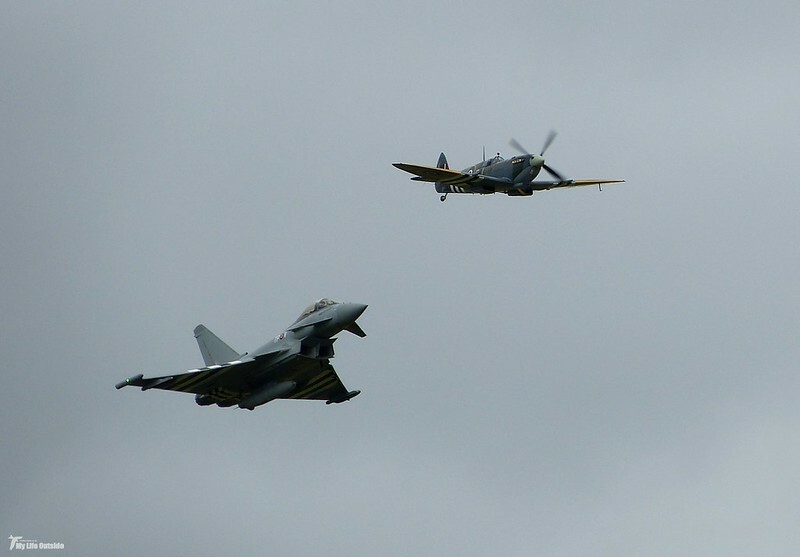 It's remarkable to think that only 60 years separate the Spitfire and Typhoon seen above. With two miles of static displays and eight hours of flights it's perhaps easy to imagine how difficult it's been to select just a small proportion of my photos to display here. So much so in fact that I've got another entry lined up ready for tomorrow where the crazy Italians will come out to play.